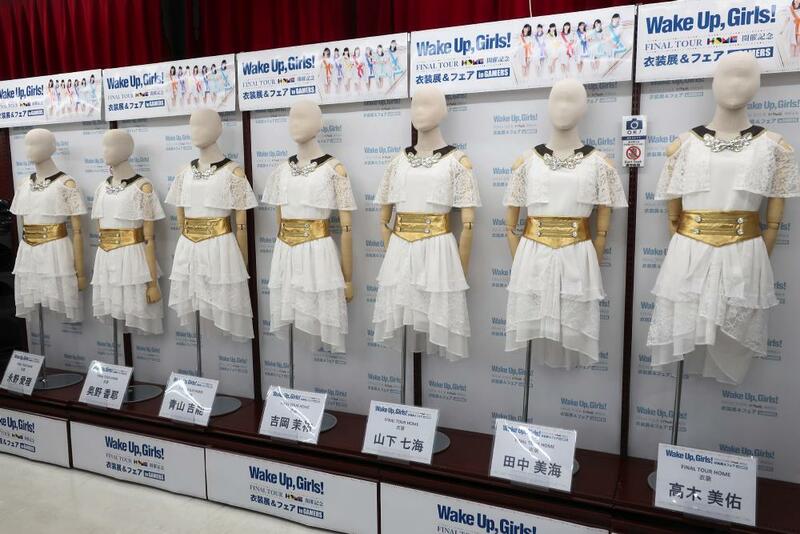 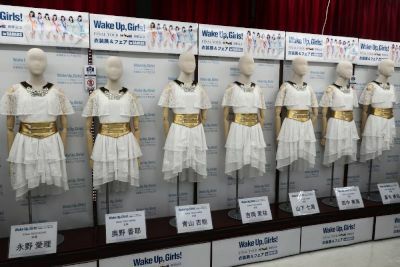 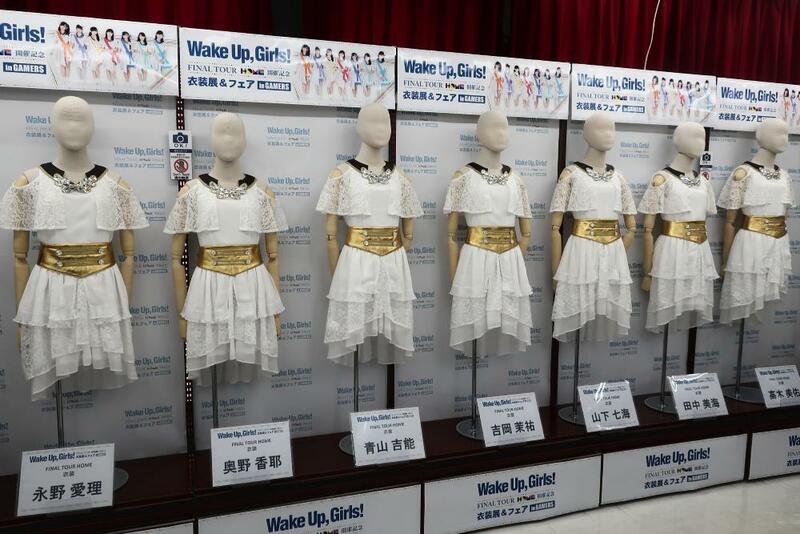 The seven outfits were lined up against the wall. 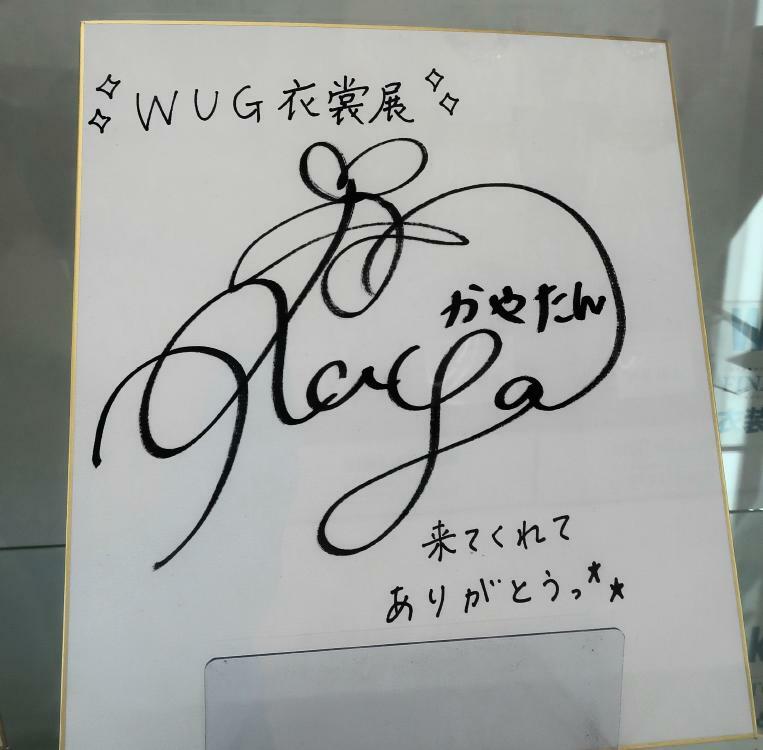 There were signature boards by all of the members. 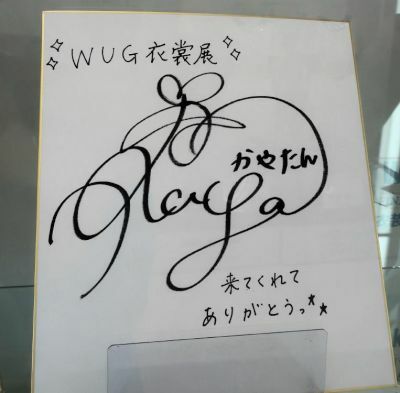 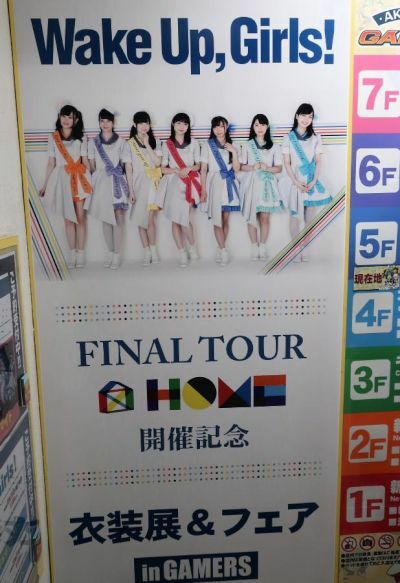 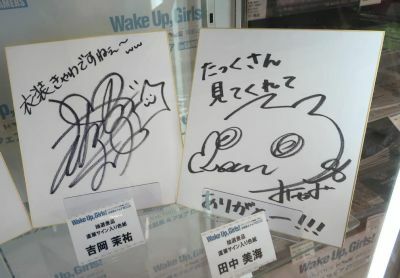 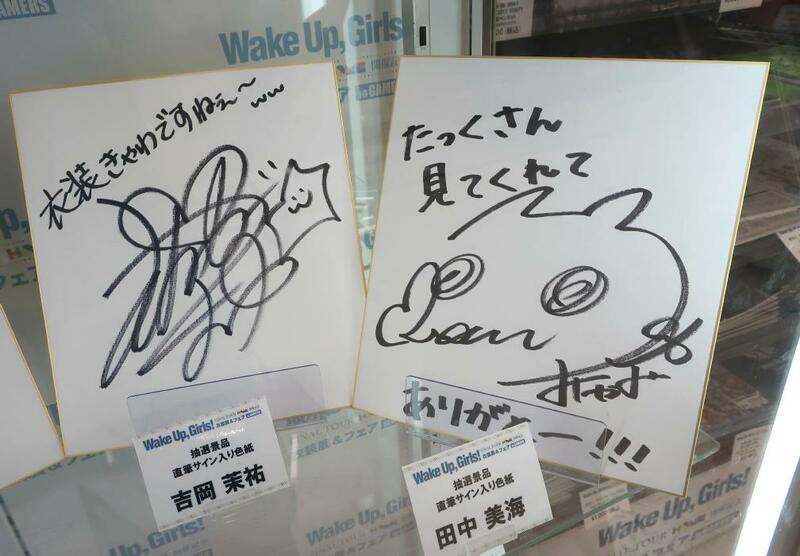 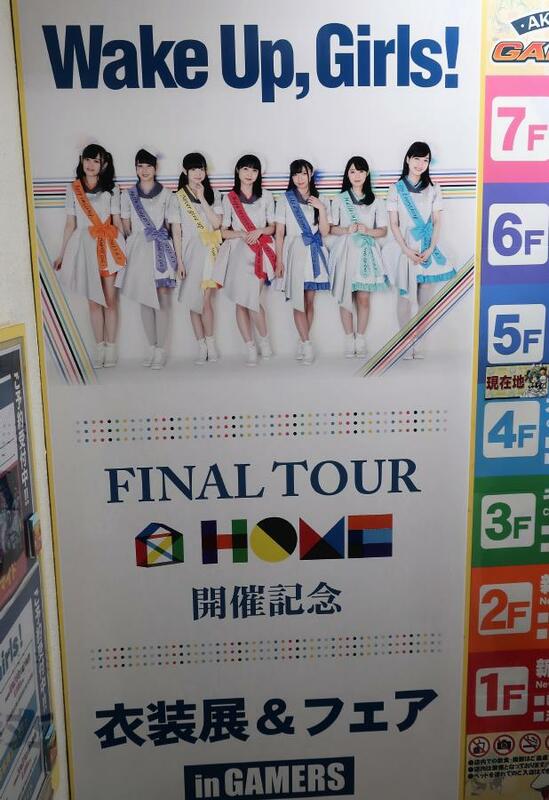 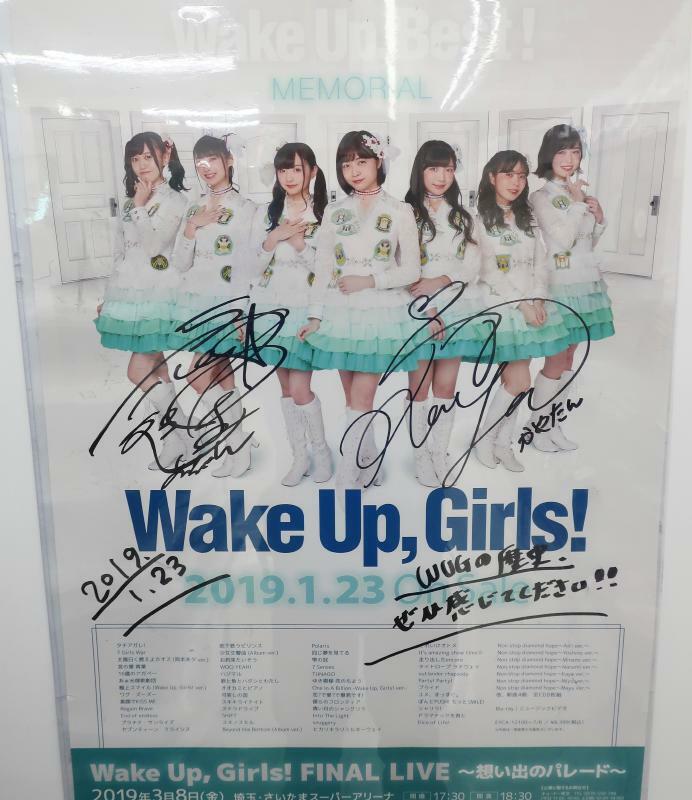 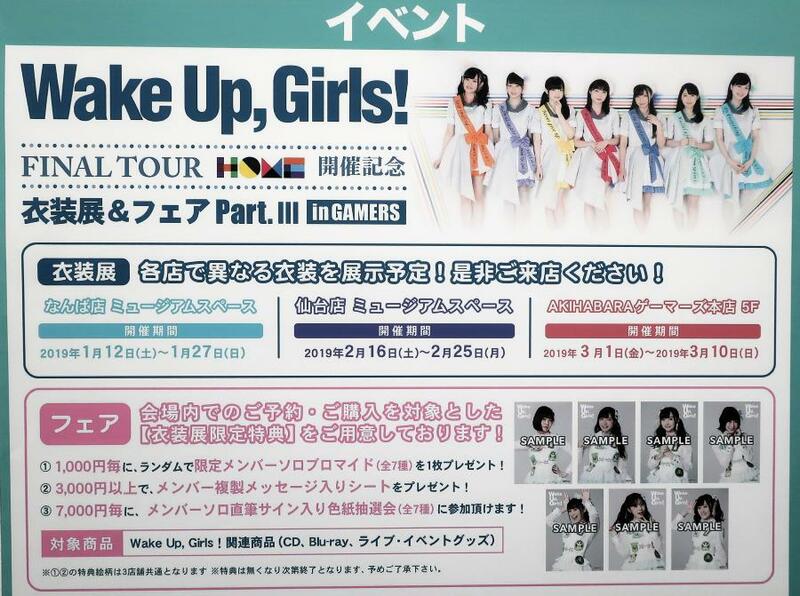 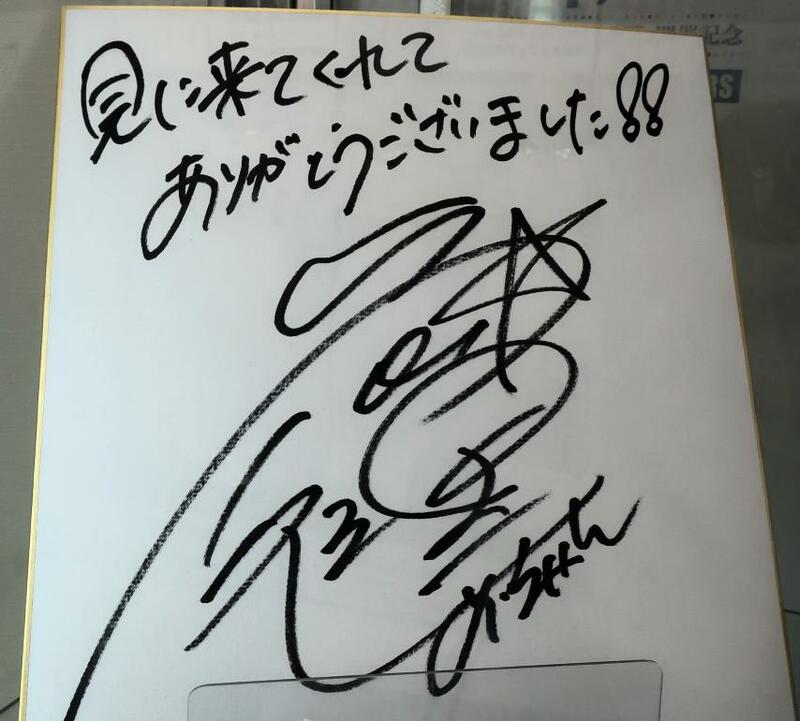 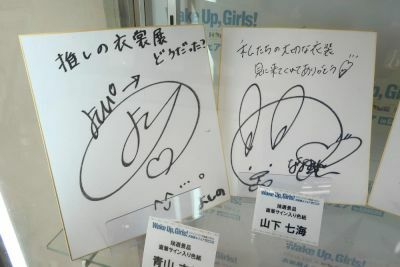 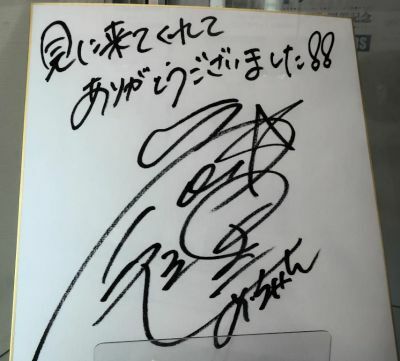 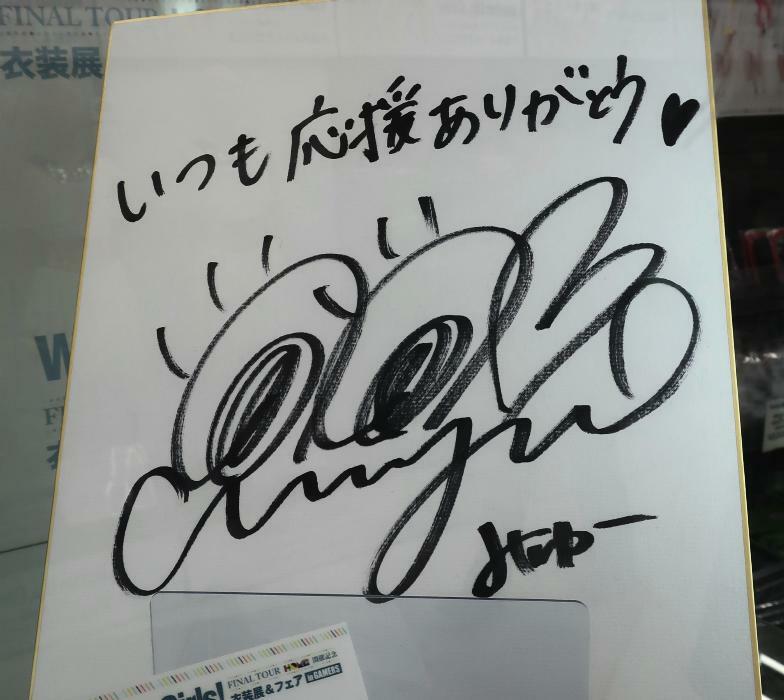 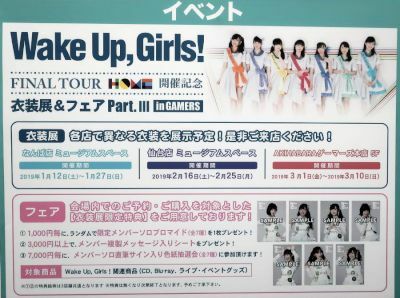 This poster was signed by Airi and Kaya for the Wake Up Best Memorial display.